Teamwork is one of the most important points within an organization of any kind and this can only work if the influence of the leader is good enough to keep everyone focused on a common goal that will bring benefits to all in the medium and long term; It is not simple, but, it can be achieved. Here not only is communication or team work spoken, which are important, but also covers the physical space, the comforts of the environment and the technologies necessary to carry out their work in the best possible way. It only takes a few instructions of what should be done for an employee to know what his position is and what are the tasks that must be performed. Each individual has an importance in the group’s gear and that is why trusting that everyone will do the best job possible will be beneficial. From a simple mail of congratulations to regular meetings to see the point where they are and what have been the goals that have been achieved can keep motivated all employees who work with you. Recognize the work of each and celebrate the victories both individual and group to create an optimal environment for companionship and effort. Transparency is vital so that communication between people is correct and through honesty and communication you can reach that point of trust in which everyone knows that you will always keep abreast of what happens to everyone with you. 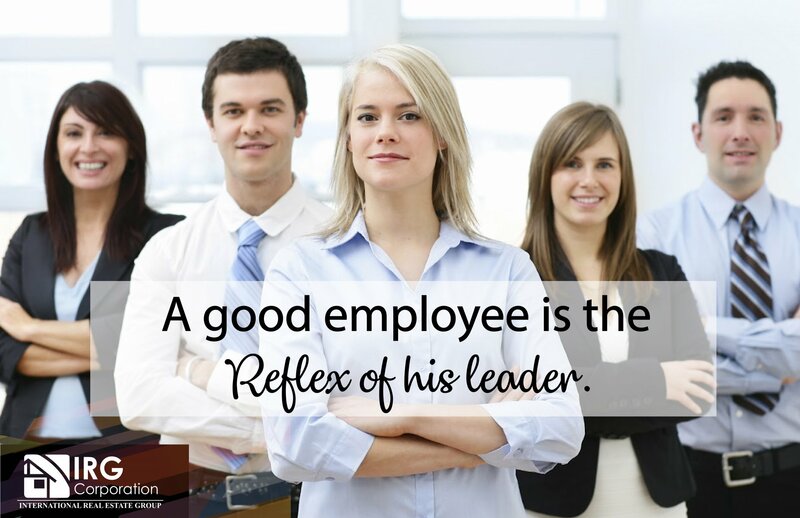 Yes, employees want to feel safe to be under the command of a leader that leads them towards a recognizable and real goal. You have to show that you know what you are doing, that you are clear about the steps you are going to take and that you can direct them directly to success without any hesitation or fear. Working with people so different from you is not easy, having to deal with a host of personalities and ways of seeing the world can be chaotic, but, if as a leader you have very clear things, you understand the work of each one and you are capable of connect with all those who work with you will have a great road traveled so that all together can achieve success. “The five separated fingers are five independent units. Close them and the fist multiplies the strength. This is the organization “.